HVAC equipment rental needs are likely to arise if you are managing a temporary work site or project. Rental equipment can be a helpful solution for a number of applications that fall within the commercial or industrial sectors. Selecting rentals can seem like a daunting task due to the large number of models on the market by several manufacturers but it truly does not have to be. Trust Alpha Energy Solutions as your top supplier. Regardless of how you plan on implementing an HVAC equipment rental into your operation, you can be certain that Alpha Energy Solutions will be able to provide selection. Having a choice is good because you can drill down into the specifics of your machine and select only the components that meet your requirement. As a result, you can save money by eliminating components or features that simply do not apply to your application. 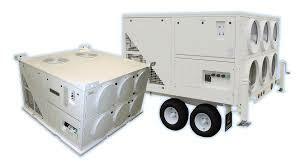 We deal with a large distributor network and handle all of the top manufacturer brands in HVAC. Alpha Energy Solutions specializes in portable HVAC equipment rental options of various capacities so it is likely that you will find a unit that is just right for your project. We like to say that there is no job to big or too small for Alpha Energy Solutions and this point is true. Our technicians have over 2,000 years of experience in the field; we specialize in HVAC. Rental equipment is a great investment and should also be maintained even if you will have it for a shorter period of time. Alpha Energy Solutions offers Preventative Maintenance Programs which can be used to maintain your equipment. The plans extend the life cycle of your machines and ensure that they are performing properly. Even with rental equipment, frequent wear can lead to some performance issues and they can be avoided with adequate maintenance. The plans which are customizable provide predictive maintenance, seasonal updates and system reporting. Contact Alpha Energy Solutions to learn more about our Preventative Maintenance Programs.